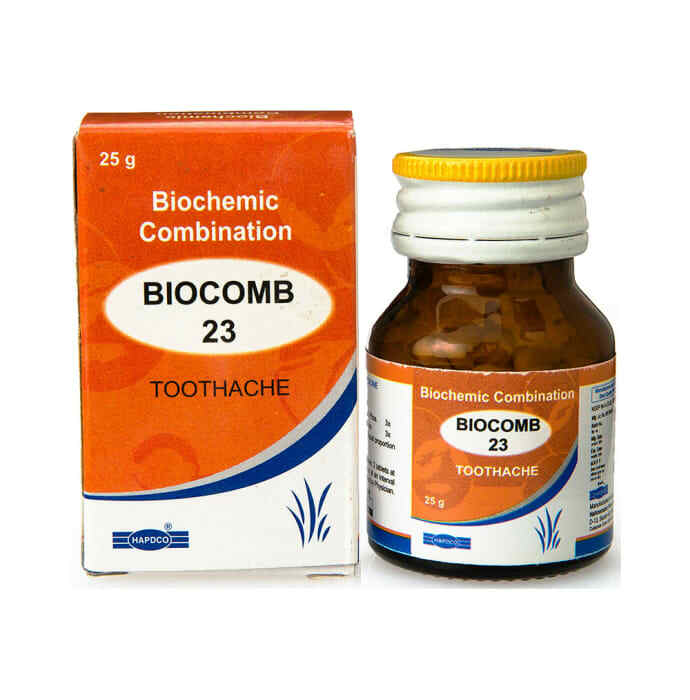 Hapdco Bio-Combination 23 Tablet is a homoeopathic medicine which provides effective relief from oral ailments such as toothache, bleeding and swelling of gums. Neuralgic pain or pain caused due to unnatural loosening of gums is also relieved using this remedy. It helps in strengthening teeth and provides relieves from pain and inflammation. Adults should take 4 tablets four times a day and children should take 1-2 tablets four times a day or, as directed by the physician.